All across the country, homeowners and property managers are dealing with the struggle of maintaining their beautiful landscapes and pathways. Heavy foot traffic, rain, and a mixture of other environmental forces can all work in tandem to break down the integrity and beauty of your paths, leaving your property in disarray and in need of repairs. In many cases, efforts are needed to prevent water runoff problems. Howell Pathways has worked to solve this issue for our customers nationwide, and we have have teamed up with Klingstone Paths to deliver a quality solution! 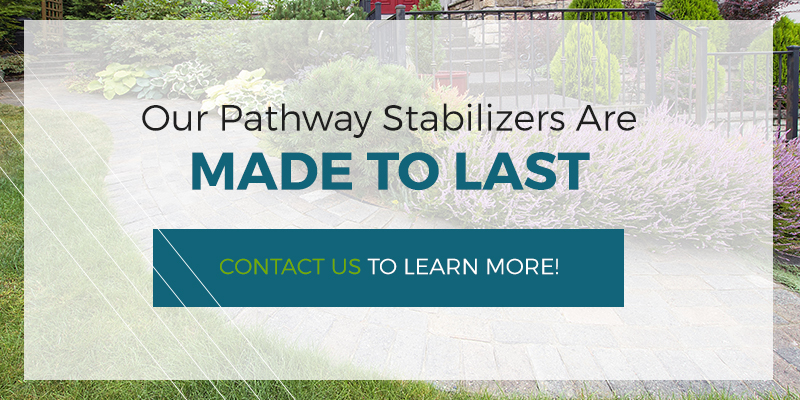 Combining more than 30 years of experience in installing pathway stabilizers to to clients in Texas, California, and countrywide. Our polyurethane sealer works to protect your natural materials, allowing them to be both permeable and ADA compliant. We understand the stress and frustration that can come with water runoff and landscaping problems. Today, we’ll highlight a few tips that may prove useful in keeping your garden walkways, tree beds, landscaping, and more. From mulch fine aggregates, our gravel stabilizer works to coat everything with quality. Be sure to contact us today for a quote for your property! In many cases, erosion and structural damages occur because the surface level is not correct. When you have too steep of a grade, or the land is too flat, problems begin to develop. Slopes do much to determine where your water runs off, and when the top lift is off, the integrity of your garden may be at risk. Additionally, water that flows towards your structure can cause serious structural concerns. Our suggestion? Check the grade. A string line and a level may show you that the slope of your property is now incorrect, likely from years of weather and foot traffic. Some smaller areas may need to be rectified to stabilize your pathway and garden. Water runoff is a major problem for landscapes of all sizes if present in large amounts, making it vital to keep your gutters in pristine condition for the best results. Gutter extensions can do much to displace water away from your foundation, and when combined with proper landscaping elements, can be taken away from the structure through a safe route. This water can be dispersed across your property for more comprehensive landscape coverage, or you can utilize tools such as rain barrels to collect water. No matter what your strategy is, properly functioning gutters can do much to protect your property from moisture problems! For many property owners across the country, erosion control can be reinforced by the tactical use of trees. Root systems work to bind with soils, helping to keep your materials in place during heavier periods of rainfall. Landscapes with no tree system face the risk of heavy erosion. Property owners also need to consider their use of trees in relation to their building’s foundation. Be sure to balance the species of your tree with the distance to your home or business, as well as the soil’s stability. Some trees, such as willows and poplars, can prove to be very invasive in your soil, infiltrating foundations and sewer lines in the process. Be sure to plan out your property if you decide to plant trees. Doing so can prove helpful in keeping your property shaded, cool, and safe from deluges of rain. Heavy levels of water across the surface of your landscape can prove to be very destructive. One cost-effective way to lessen rain runoff is to utilize mulch in your flower beds and landscaping elements. This natural material is intended to help with H2O mitigation, retaining moisture to keep your plants hydrated in the hottest weather. When the rain falls, mulch absorbs a large amount, aiding your property in the fight against erosion and path degradation. Mulch is also ideal for protecting your plants and enriching the soil, so be sure to rely on this natural product when planning your landscape design. There are numerous approaches that can prove beneficial in keeping your beautiful gardens intact through all manners of weather. Our pathway stabilizer, for example, has helped businesses in Texas, California, Florida, and more. 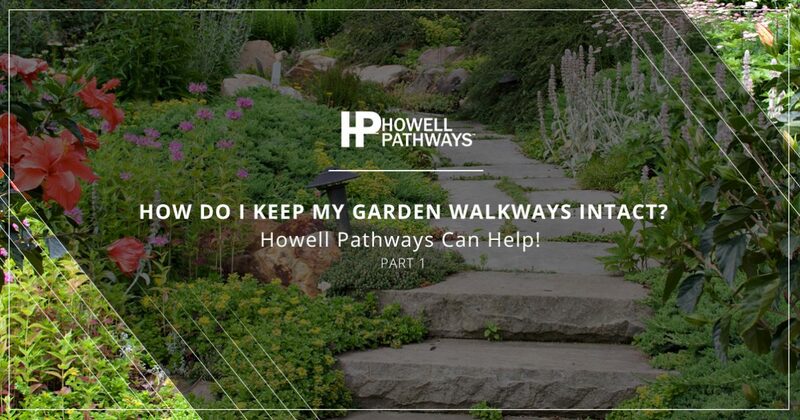 Howell Pathways is proud to be your trusted source for quality aggregate sealants, keeping your garden pathways protected for the long haul. Contact us today to learn more!